The biggies in the social network channels are Facebook and Twitter, with Pinterest, Google+ and LinkedIn following behind. But, should this be the case? LinkedIn in particular is about finding jobs and staff. Whether you’re looking for a job or seeking to hire employees, it’s the place to be. It’s also the network that’s much more focused. There’s ‘no’ “what I had for breakfast” or “look at my vacation photos.” It’s certainly not like Facebook. LinkedIn launched in May 2013 as a networking site for business folk looking to connect. And, it still holds that title. Knowing that content (information) is what people and businesses want, LinkedIn jumped in the publishing waters and created a platform for users to publish articles. Pulse was launched November 2013. The Pulse purpose is to provide LinkedIn users with relevant, focused, helpful, and up-to-date information. This platform has made for a ‘stickier’ LinkedIn. But, it’s also beneficial to users. Like article directories and blogging platforms, users can post full length articles to Pulse. This helps generate visibility and build authority. Using this platform is a great way to become known as an influencer in your particular field. First, I have to say I don’t use LinkedIn that much. While I do share my content and that of others to my LinkedIn feed, I only occasionally comment on forum conversations. I do though publish on Pulse. But, again, only occasionally. Even with my haphazard use of LinkedIn, I acquired an ongoing business writing gig through it. Based on the statistics above and the work I got through this channel, I will be stepping it up on LinkedIn. I’ll post more frequently to Pulse and be more active in group conversations. I’ve come to realize that you get what you put into these social channels. As with any marketing strategy, it’s important to test your effort’s results. It’s impossible to be involved effectively in every network out there, so it’s important to test the waters and see which one provides the best ROI. LinkedIn is an effective place to get involved with others in your field - become visible to them. Get in on a couple of conversations. Try publishing to Pulse. Make it a part of your content marketing and inbound marketing strategies. Then, test it out and see if it’s worth your time and effort. I’d love to know what your LinkedIn experience has been. One of my email subscribers asked me about Staged. It’s a social media engagement service that gets you Followers. But, unless you have the budget, it can get expensive since there’s a monthly fee. I’ll call the subscriber John Doe for this article. The other part of John’s question was that although the service did get him a lot of Followers on Twitter, how could he monetize them. The first thing I asked John was if the Followers the service got him were targeted. In other words, were those Twitter users potential customers. Or, at least relevant to his niche/industry. Followers who could add to the conversation. On my own social media marketing, I’m picky about who I Follow. I only Follow targeted users. I do this because I want potential leads / clients. I also want Followers who can add to the targeted conversation. In my case, the conversation is content marketing and inbound marketing. I told John that although he gets Followers, whether on his own or through a paid service, he still has to produce quality content that will lead those Followers back to his website. And, where ever he brings that traffic to, it must be monetized. So, if John brings the website traffic to his blog posts, those posts must have a CTA (call-to-action). It might be a prompt to join his mailing list or to get a free consultation. The same holds true for sales pages or product pages. The pages must be effective enough to convert. Bottom line, the number of your Followers isn’t as important as the quality of those Followers. It goes back to the blogging strategy of quality over quantity. 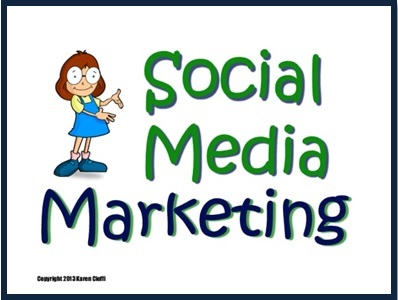 Want the lowdown on social media marketing basics, along with the other three fundamental inbound marketing strategies? 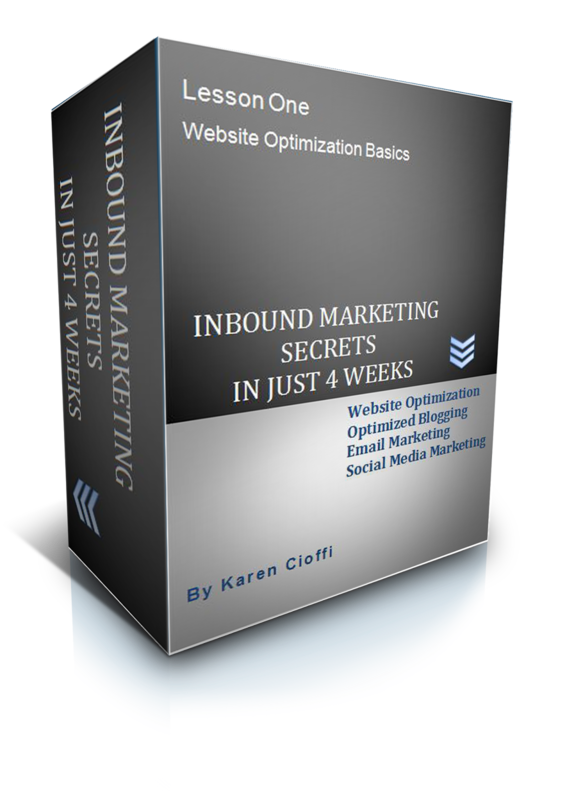 Check out Inbound Marketing Secrets in Just 4 Weeks. It a 4-week, interactive e-class that covers Website Optimization, Blogging Smart, Email Marketing, and Social Media Marketing. Click the link above to see all it includes. I read a great article over at Matt Lloyds Blog. It explained why some are able to create a successful online business and others can’t. It was a l-o-n-g article, but it was worth the read. To break it down and give you the gist of what Matt said, we do have the power. We are in control of whether we become successful or not. Maybe you want to build a ‘passive income’ business that will contribute toward a comfortable lifestyle. Whatever you want to do . . . whatever you REALLY want to do, is possible to do. 3. “Your beliefs and thoughts can be molded in order to manifest certain results in life. So, it’s easy to see that you absolutely need a positive mindset. But, you also need more than that. You can wake up every morning and say I’m going to make $500 today, but if you don’t work toward that goal, guess what? You won’t make a penny. 2. Find out what’s needed to become what you want. 3. Learn whatever you need to learn to get started and move forward. 4. 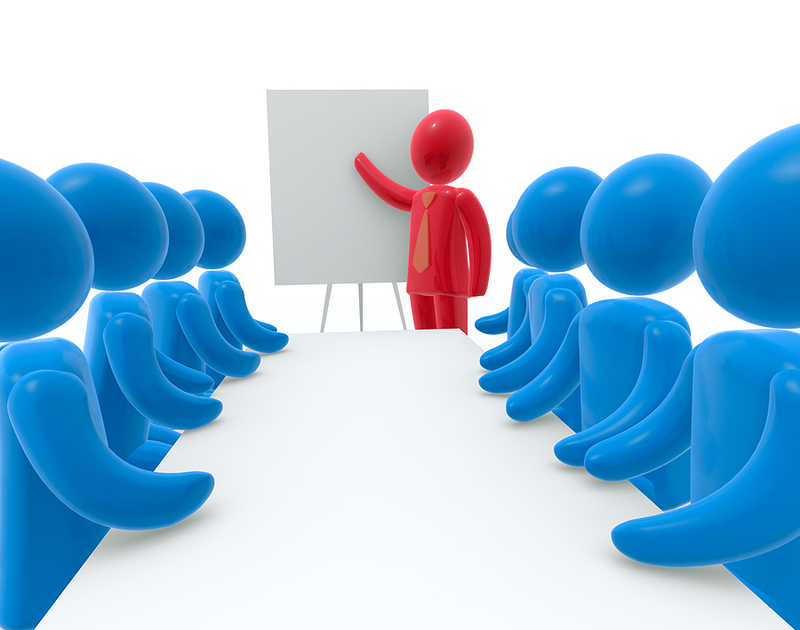 Take it a step further and become an expert in one particular niche or industry. 5. Prepare a detailed business plan with short and long term goals, along with actionable steps to accomplish those goals. 7. If you need help, get it. 8. Analyze how you’re doing. Do more of what’s working and get rid of what’s not working. An article at Social Media Examiner discusses the habits of social media marketers that help boost productivity. The post is interesting and covers six tips - I’ll cover four of them here. 1. Number one is a give-in: you need to know your audience and cater to them. This goes for any form of marketing – you need to know who your audience is and what they need or want. It’s pointless to send messages to the technology industry when your platform is on health writing. It’s pointless to send in-depth SEO marketing posts to an audience that’s just getting their feet wet in the marketing arena. It’s pointless to send ‘how to find a mate’ posts to an audience who wants to learn marketing strategies. Your platform needs to be focused on what your target audience wants. Along with this, the Social Media Examiner post points out that your audience’s needs may change. You need to keep current on all things pertaining to your industry / niche and with the changing needs of your audience. Keep ahead of the game and help your audience do the same. Let your audience know you’re the ‘go to’ person in your niche. I do lots of research to come up with helpful posts for my readers. I also share helpful posts I come across in that research. If you think an article you’re reading will benefit your audience, share it. Marketing on social networks isn’t just about ‘hit and runs.’ You shouldn’t just post your content and run. You need to build ‘meaningful’ relationships with customers, other businesses, and anyone else within your business realm. To build these relationships, you’ll need to offer helpful information that is actually useable. You want to inform, teach, and help those in your network. Along with this, you need to engage with other users. Share the posts of others. Help promote a product or service you know to be helpful. Take the initiative to help others in your networks. I spend around 30 minutes each day to schedule my posts, share the posts of others, and to engage with others in my social network sphere. 3. Making money also needs to be a factor. While you should earnestly want to help those in your audience, it’s also important to spend your time fruitfully. Not many can selflessly spend time helping others. Businesses need to make money to survive. To keep this in the forefront of your social media marketing strategy, promote what you’re selling. Whether it’s a product, a service, a workshop, a presentation, include it in your social media postings. Now, to do this, you need to upload lots more helpful information compared to promotional content. A standard ratio is 85% useable content to 15% promotion. You might even lean more toward 90/10. You don’t want your audience to feel you’re using them for your own gains. Give lots and lots of quality information. Be helpful. I post around 12 to 15 posts of my own to Twitter each day. I also share posts of others that I come across in research. In addition, I Retweet and Favorite other users’ Tweets. I probably share 10 to 15 posts of others each day in addition to my own. This is being active and engaging. My connections know I offer valuable information on a regular basis. This allows me to promote what I’m offering without seeming overly promotional. This is a must for all your marketing strategies. If you don’t monitor what you’re doing, you’ll never know what’s working and what’s not. Monitoring your results is time well spent. Don’t forego this step. Even if you don’t want to spend hours on analytics, you can simple monitor your website traffic and its sources. And, you can easily see if you’re getting sales from your efforts. If you’re not seeing the results you need, change course. Try another strategy. These four tips will help you be more effective, more productive, in your social media marketing. Get started today! It's a 4-week interactive, in-depth e-class through WOW! Women on Writing. Check it out today. Just click on the title link above for details. Josh Bachynski, over at the TheMoralConcept.net, wrote an amazing post on Google’s Panda. This is exactly how I feel and I’m sure how most of you do too. Since Google won’t enlighten its users with information to create a ‘high quality; site, Josh took it upon himself to research bits and pieces of information to create a somewhat understandable guide to keeping in Google’s good graces, in regard to the Panda algorithm. Every little bit of content, in every nook and cranny of your website, will fall under Panda’s scrutiny. Not that I write content that should be deemed as ‘poor’ or ‘spammy,’ but even using permission-based article reprints is cringed upon. Even repeating keywords and specific content on multiple pages is a problem. And, content not having enough substance (word count) is frowned upon. This makes the writer think twice or three times or more about every move she makes. This makes the writing process much longer. Can I write a 200-300 word Tips post if it gives clear-cut and helpful information to my audience? Will Panda give me a ‘thumbs-down’ for it? Can I post a meme quote with just a little additional content to enlighten the reader? Or do I have to write a full-blown article with it? How much significant content do I need to write for a lead-in to a curated post? Supposedly, Google wants it to be all about the reader. Write for the reader, be helpful, engaging and all is well. But, that’s not really the case. Google wants you to jump through hoops while trying to write an informative article for your audience. If you slip, BAM, you’re on the naughty list. You also have to watch your keywords usage and even your URLs are under scrutiny. In essence, you're not writing for the reader anymore, you're writing for Google. Boy, Google has sure taken the ‘joy’ of writing out of writing. Now, it’s writing with restrictions. I thank Josh Bachynski for taking so much time and effort to create his helpful post. At least it sheds some light on what Google is looking for. It really is now about writing with restrictions. Ignorance of Google’s guidelines (rules) won’t help you. It’ll just get your rankings dropped. So, keep abreast of white-hat SEO strategies. Visuals are powerful. They’re one of the highest converting marketing tools there are. Along with video and animations, Slideshares are a great content marketing and inbound marketing tool. 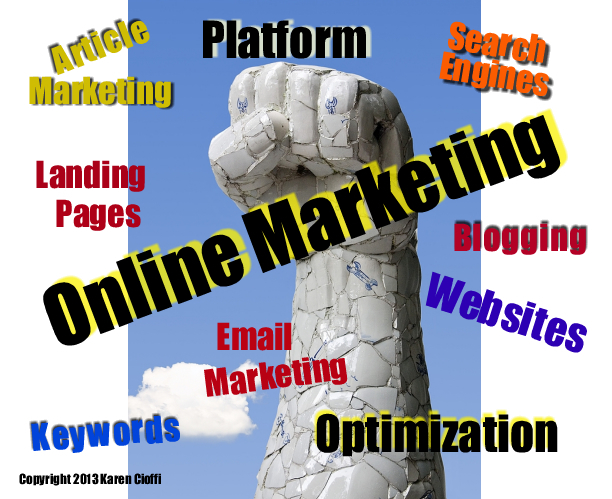 They help boost visibility, website traffic, and authority. Don’t think you can create one? The Slideshare presentation below has step-by-step instructions on creating a PowerPoint presentation and repurposing it into a Slideshare. Two marketing tools with the effort of creating one. The site allows users to upload a number of things, such as PDFs, PowerPoint presentations, videos, documents, and even webinars. And, uploading is SIMPLE. Once you upload your content, you can edit the title, add keywords and a description, then upload it to YouTube. Check out the Slideshare and let me know if you found it helpful – if it gave you the information you need to create your own PowerPoint presentations and upload them to Slideshare. Goal setting, writing goals, marketing goals, business goals, life goals . . . everyone has heard of these terms, these strategies to creating and achieving goals. But, what’s involved in actually creating and achieving those goals? How do you get from an idea or desire to its fulfillment? To begin, you need to have the ‘right stuff.’ You need three essential elements. The first of which is confidence. But, what if you find yourself on the low-end of confidence? What if you don’t think you have the talent, skills, or other abilities needed to succeed at your goals? This happens to most everyone at one time or another, whether factual or perceived. The good news is confidence can be learned and it can be increased. So, the old saying, ‘practice makes perfect,’ is a two-benefit strategy. It improves the quality of what you’re practicing and it builds confidence in that area as you practice. Numbers two and three in Luthans’ four positive psychological capital assets are hope and optimism. Since they’re so closely related, I’ve combined them into this article’s second must-have element needed for success. This is a wonderful explanation of optimism. It’s not simply being upbeat and hoping for the best, it’s believing your desired results will really happen. This optimistic attitude goes hand-in-hand with a positive mindset. You must believe that your goals or hopes will be fulfilled in order for them to actually be fulfilled. As mentioned above, you need to believe in a successful outcome in order for it to come about. But, what if you don’t feel optimistic? What if it’s not in your nature? If you don’t ‘feel’ optimistic, you can use ‘positive thinking’ to become optimistic. One strategy is to say and read positive affirmations. Another strategy is to create a vision board. The key to both strategies is to keep them front and center – you need to see them, read them, and say them every day. By doing this, you can actually teach your brain to think positive, to be optimistic. Another strategy is meditation. Through this practice you can train yourself to think positive, to be optimistic. You can Google Deepak Chopra or other expert in this area for simple instructions on meditation. Resilient people have their feet on the ground, have strong values, and are flexible and durable. Within the category of resilience is perseverance. According to The Resilience Scale, it’s considered a characteristic or trait of resilience. (4) Perseverance is the part of resilience that allows an individual to keep bouncing back, to keep getting up when knocked down. It might also be considered strong willed and steadfastness. But, how does someone acquire the trait of perseverance? Bergland gives seven steps to help you create and increase perseverance. What the seven steps boil down to is creating a positive habit that will move you toward your goal and sticking with it until it becomes routine and even desired. It’s the repetition that reinforces “a mindset of perseverance.” Once the desired effect is established, the goal is reached and the perseverance trait is reinforced again. It’s also advisable, along your goal-reaching path, to create smaller, attainable goals that can boost both confidence and further cement the perseverance mindset. While the article title says ‘three’ must-have psychological assets, without focused effort no amount of confidence or optimism will get you from point A to point B, so I’ve added a fourth goal-achieving element, focused effort. It’s not enough to talk-the-talk. You must also walk-the-walk. Simply wanting something won’t make it happen. You need to create a focused plan that includes focused actions steps to take you where you want to be, where you see yourself – achieving your goals or desired outcome. Then you need to implement those action steps and keep your eye on the goal. In other words, you need to work for what you want. If you want to become a writer, your first action step will be to learn the craft. You’ll need to take classes, listen to lectures, and read lots on the topic. And, you’ll need to practice by writing, writing, and writing more. Along with creating a plan to get you from point A to point B, you need to review, evaluate, and even analyze your progress along the way. This is important so you can see which of your actions are moving you forward and which are simply wasting your time, energy, and possibly your resources. Revise your plan as needed. Confidence, optimism, perseverance, and focused effort are interwoven. Together they create a solid conscious and subconscious mind and body environment that will move you toward accomplishing what you set out to. In a recent e-class I instruct on Inbound Marketing, a student was a bit discouraged because her social media efforts weren’t working. She was trying to drive traffic to her website through a particular network, but the traffic hasn’t shown up. This is a common complaint. But, not every strategy will work for everybody. The first thing to do get moving in the right direction is to analysis your efforts. 1. When are you posting? 2. How often are you posting? 3. Are you using ‘targeted’ posts the majority of the time? 4. Do you engage with other users: share, retweet, favorite, like others’ posts? 5. Do you monitor your efforts and revise accordingly? Take a step back and focus on the questions above. 1. Try posting at different times than you usually do. If you’re posting in the morning, switch to the afternoon. Posting at night? Switch to the morning. You get the idea. You might also mix it up. 2. Figure out how many times you post to a particular network each day. With social networks, your posts aren’t seen by most of your followers. The networks only allow a very small percentage of your posts to make it through to a small amount of your followers. This is just the way it is. This means you really do need to post more often. I now tweet 11 to 13 times a day on Twitter. This is throughout a 24 hour period. I also Retweet around 10 tweets of other users. And, I share articles I read that I think my Twitter followers would be interested in. For my own tweets, I don’t repeat the same post for at least 24 to 48 hours, unless it’s promotional. And, even those posts I try to keep about 24 hours apart. Now, this may or may not be a good idea. Well, since I post unique posts throughout a 24 to 48 hour time period, a huge amount of my followers are likely not to see a particular post. If I posted the same post four times throughout a 24 hour period, it’s much more likely to be seen by more people. Writing this, I can see I have to test this. But, back to the post at hand. 3. Keep your posts on target. This simply means to post content that is relevant to your targeted audience. I see so many social network users who list a particular niche in their bio, but post about everything under the sun. This diminishes that person’s authority and professionalism, at least to me. If you write about health, keep your post related to the health arena. If you write about social media marketing, keep your posts focused on that arena. And, offer valuable content in each post. Your followers followed you because of what they thought they’d be getting from you. Don’t let them down. Also, if you’re including promotional posts, try to keep it 90% quality content for the reader and 10% promotional content. It’s a must to share, pin, favorite, retweet, and so on, the posts of others. If you’re helpful to others, they’ll take notice and reciprocate. This back and forth, this engagement is what the social media search engines pick up on. They call it ‘social’ for a reason. 5. Monitor your marketing actions, including your social media efforts. This is soooooo important. It’d be a huge waste of time, effort, and sometimes money to keep doing the same things if those efforts aren’t working. You need to monitor what you’re doing. Check to see if you’re getting traffic, leads, clients, or other benefits from the efforts you put into your social media marketing. If you don’t see results with one strategy or network, try another. Most of the networks have analytical tools you can use to help keep on top of things. Make your bio work for you. Let the visitor to your profile know exactly who you are and what they can get from you. Be specific . . . and focused. If you’re an author of children’s books, that should be in your bio. If you’re a health writer, that should be in your bio. 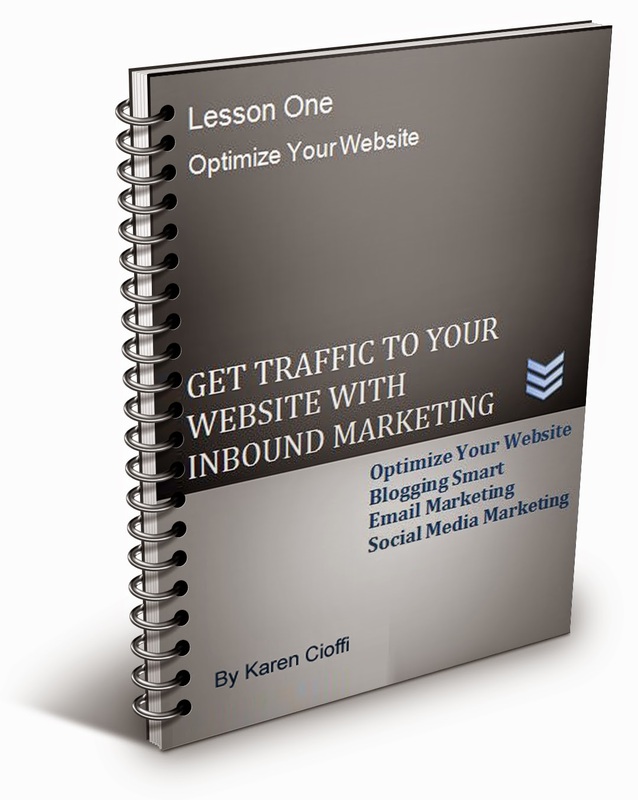 If you’re an inbound marketing, that should be in your bio. Just be sure to keep it focused. I’ve been on profiles that list about 10 different things from wine connoisseur to sports enthusiast. While this is fine if you’re on social networks to socialize, it’s not fine if you’re trying to bring traffic back to your focused website and to find targeted leads. Bottom line is you’re not alone. Everyone who is marketing, whether the big company or the individual, has to monitor their actions and results. And, each social network isn’t a one-size-fits-all. It takes testing to find what works. It also takes perseverance. It's interactive, in-depth, and easy to do. Check it out today. Just CLICK HERE for details. Email marketing is getting tougher. People don’t even want to find emails in their inbox. Most people actually open their emails and quickly scan through them to find ones they can delete. The less they have to open the better. It doesn’t stop there either. People are very reluctant to sign up for more emails going to their inboxes. Emails are just overwhelming and time consuming. Because of this, you need a strong enticement and strong copy. The reader must perceive the value of the opt-on gift worthy of his email address. So, let’s go over some absolute Don’ts in regard to your email marketing. 1. Don’t just throw a gift together and think it will lure that visitor to say YES to your opt-in. It may seem quick and easy to create an undervalue gift, but in the long run, it’s pointless. People today are savvy. They are bombarded with gifts in exchange for their address. Take time and effort to create your gift. Use analytics to determine what topics your audience is really interested in. You might also create a survey and see what your audience is looking for, what they need. Then create a solution to that need. Put on your thinking cap and determine how valuable your gift really is. And, keep in mind that you might offer the gift in multiple formats, since people have different learning styles. You might offer a PDF, a Podcast, a webinar replay, a lesson from one of your e-courses or workshops, or exclusive to your list only content. 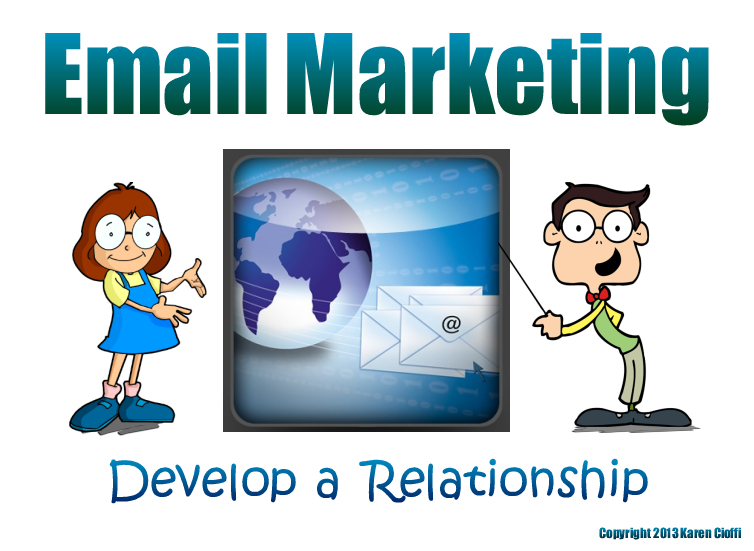 Another great gift is an email course addressing and solving your audience’s problem or offer useable tips. Think value. You need to make your gift ‘look like’ and ‘be perceived’ as a real product, one that the visitor would actually pay for. Again, people are savvy. They don’t want to be sold to. According to Marketing Experiments, these terms cause ‘visitor anxiety.’ The visitor subconsciously feels as if there is a cost involved, whether financial, time, or effort. Make the sign-up process as soothing as possible. Eliminate resistance. In regard to the word “free,” it’s a ‘sales damaging’ word. People will equate your list and products/service as lesser value. 3. Don’t have opt-in copy that isn’t clear or doesn’t convey the benefit. Okay, you take care to list what’s in your gift, but you don’t explain how it will help the visitor. If your copy doesn’t clearly show the benefit, the solution to your visitor’s problem, she won’t click the link. Lots of people are looking for solutions to money and time problems, so make your gift and copy clearly state how you can help them with their problem. If you’re in the health industry, you need to create a gift that address the particular health issue your audience is dealing with. And, let the visitor know exactly how your ‘complimentary gift’ will address that issue. Focus on results and convenience. Getting visitors to opt-in to your mailing list is tricky. You’re one of millions trying to get that email address. Check your gift and opt-in copy to make sure you’re not making the mistakes listed above. It's a 4-week interactive, in-depth, and easy to do e-class through WOW! Women on Writing.